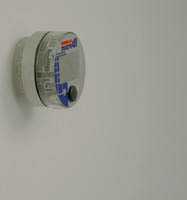 Low-cost secure mounting for MicroDL & iButton Data Loggers. Designed for both indoor and outdoor applications. 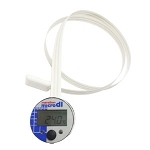 Available in two sizes: MicroDL (7/8") and iButton (5/8"). Our 2-piece Reclosable Fastener Dots are manufactured from 3M™ Dual Lock™ Reclosable Fastener SJ3560. 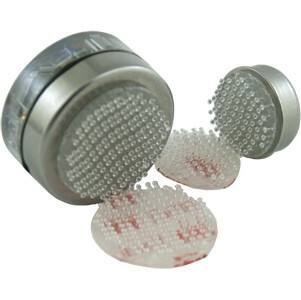 These clear acrylic fasteners utilize a pressure sensitive adhesive on the back of a clear polypropylene reclosable fastener which provides a secure and reliable hold in both indoor and outdoor environments. These all-weather adhesive fasteners offer a versatile mounting option for data loggers and enables loggers to be easily collected and then redeployed. 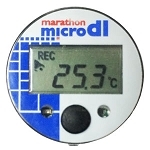 The Reclosable Fastener Dots are speced to the full temperature range of the MicroDL* and iButton data loggers (excluding the DS1922E and DS1922T). 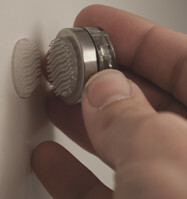 They are a versatile mounting option, supporting a wide range of applications, and are available in two pre-cut sizes. Surface Preparation - The fastener and substrate surface should equilibrate for at least 1 hour at a temperature of 68°F (20°C) or greater before application. The adhesive backed fasteners should be applied to surfaces that are smooth, dry, and free of oils, mold release agents or other surface contaminants. 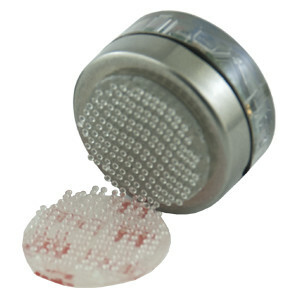 Fastener Application - Once the mounting surface is clean and dry, remove the liner from the fastener’s adhesive back and apply using light finger pressure. Once the 2-piece Reclosable Fastener Dot is adhered to both the logger and the mounting surface, the logger can be easily attached, detached, and reattached**. To detach, grasp the logger and pull using a gentle peeling motion. 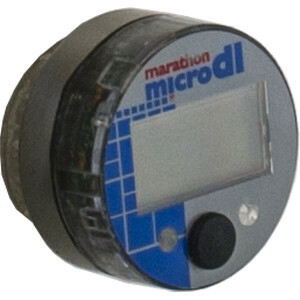 Additional fastening dots can be used for applications where the logger is expected to monitor multiple locations. * While the Reclosable Fastener Dots may be used to mount the Ultra-Low MicroDL Logger, it should not be used for mounting its remote probe as the probe is designed to be operated beyond the temperature limits of the fastener. 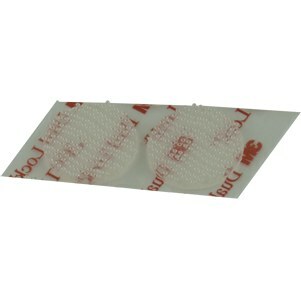 ** The adhesive on the fastener is quite strong, and intended to be permanent. Attempting to remove the fastener from the surface to which it has been adhered may cause damage to the underlying surface.